6-year-old Amirah loves Barbies, all things sparkly and police officers. Amirah's mother wanted her daughter's birthday to be special and the Williamson County Sheriff's Office made sure that happened. 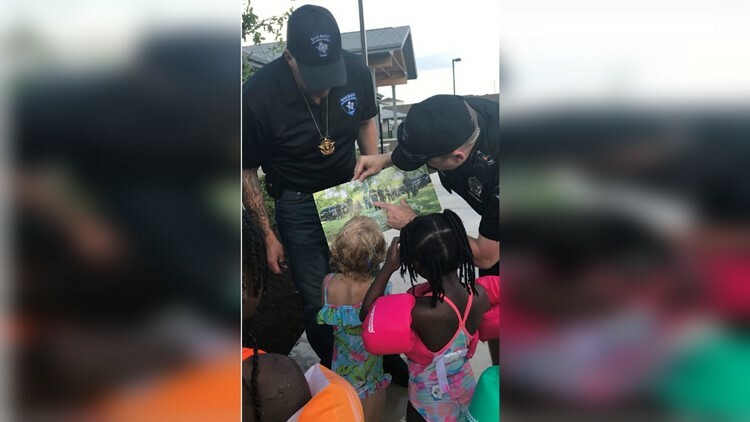 ROUND ROCK, Texas — On Saturday afternoon, a Round Rock mother put out a plea on a private Facebook page to other moms asking for them to help her make her daughter's birthday extra special. 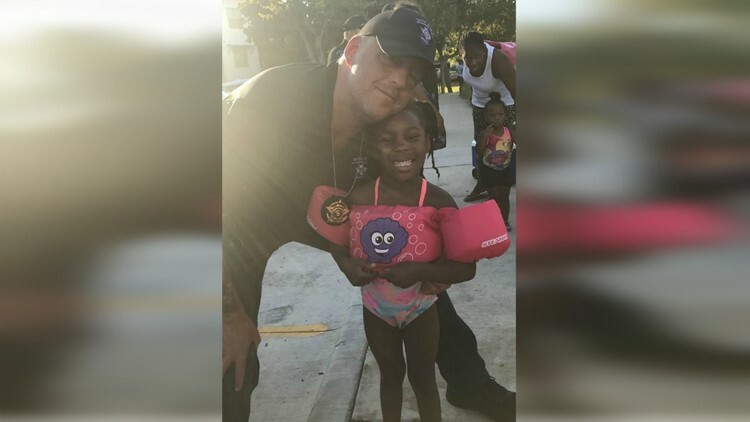 Karissa Guillory's daughter Amirah was celebrating her sixth birthday, but Guillory was worried no one besides family would show up to the party. 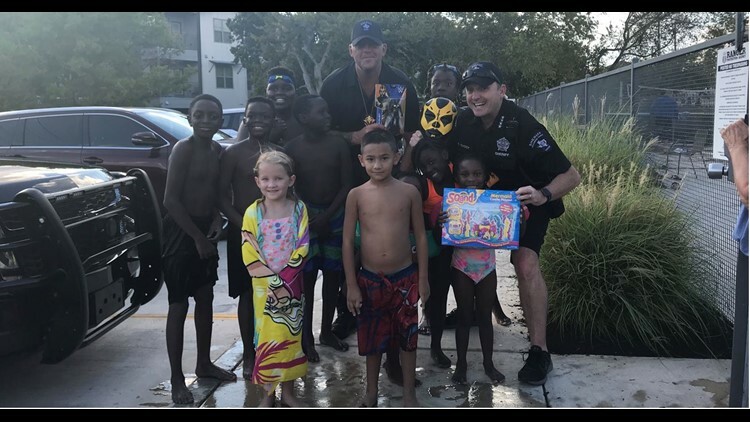 Amirah has autism and wanted a birthday party at their apartment complex pool with a cake and friends to celebrate. Guillory said gifts were not required; although Amirah loves Barbies, all things sparkly and police officers. 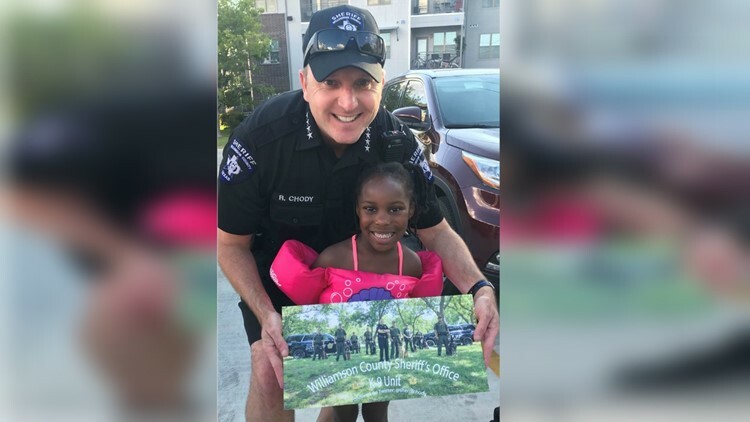 KVUE reached out to Williamson County Sheriff Robert Chody to see if he could send some deputies by the party to surprise Amirah and make her feel special. Not only did Chody say yes without hesitation, but he brought along honorary deputy and WWE wrestler "Goldust" Dustin Patrick Runnels Jr.